In 2019, Aston Martin has launched a new season of luxury lifestyle events which holds out the promise of opportunities to enjoy unparalleled access to world-class events both here and overseas. Art of Living by Aston Martin is the brand’s luxury lifestyle program. It has been specially created for those who want to live their life the Aston Martin way, and seek to indulge in curated lifestyle experiences related to areas like travel, food, sport, fashion and culture. 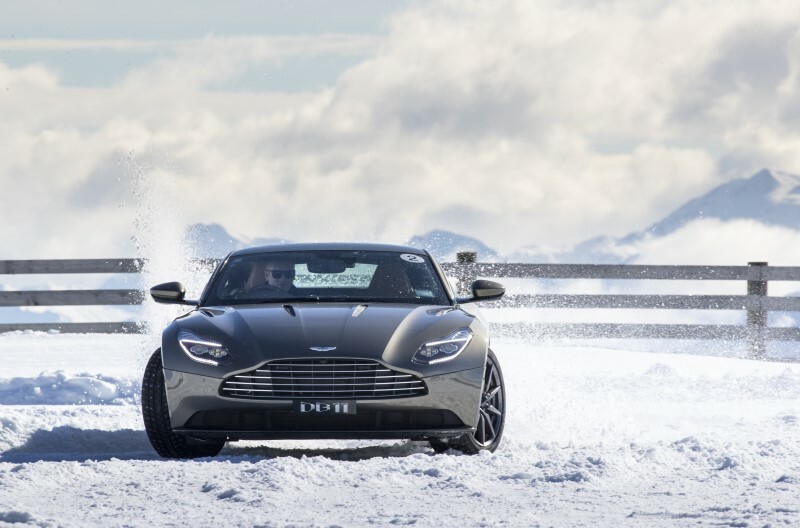 The season begins with the popular ‘Hokkaido on Ice’ event in February, as part of which guests can travel to the Tokachi International Circuit in Japan where they can test the limits of an Aston Martin sports car on snow and ice with sessions from Aston Martin driving instructors, before relaxing in a hot spring. For motorsports enthusiasts, there is the opportunity to enjoy the most fashionable F1 event with seats at the Aston Martin Red Bull Racing Energy Station for the Monaco Grand Prix in May. Art of Living guests can enjoy the race in the company of like-minded people so that they can share their passion for speed while enjoying exclusive access to one of the most glamorous sporting events in the world. Those who have a weakness for sports cars will enjoy the 24 Hours of Le Mans endurance race experience, complete with helicopter transfers to and from a luxury chateau and special behind-the-scenes access to the Aston Martin Racing team as the team competes in the season finale of the World Endurance Championship. Guests can opt to attend the Singapore Grand Prix with the Aston Martin Red Bull Racing team or travel to Goodwood in the south of England for the renowned Festival of Speed in July. If vintage and classic cars are what they prefer, they can attend the Revival in September, with special access to a fabulous bespoke programme that Aston Martin will organize. Those who prefer to drive rather than watch races can choose to drive an Aston Martin through the Swiss Alps or drive at high speeds on a road trip across Utah in the United States. Every aspect of their journey will be overseen by the Art of Living team and all they have to do is drive. Aston Martin has finalized a new partnership with Waldorf Astoria and this makes it possible for Art of Living to deliver a number of unforgettable experiences. Guests can enjoy the luxury lifestyle associated with both brands, starting with ‘A Californian Adventure’ in Beverly Hills, a tour of the Palace of Versailles in Paris, a drive through the Champagne region in France. The journey will end in Reims, which is known for being the hub of Champagne production and also as the home of the French Grand Prix in the past. Guests can use these trips as an opportunity to enjoy superb food, whilst staying in luxury accommodation provided by Waldorf Astoria. Art of Living by Aston Martin also offers behind-the-scenes tours of sites across the UK, ranging from the heritage tour at Aston Martin Works to the world of manufacturing at Gaydon.